ATTENTION Embroidery Business Owners: Is your Embroidery Business Producing The Results You Were Expecting? You Too Can Learn Quickly & Easily To Build A Successful Embroidery Business From An Embroidery Industry Expert! Are You Frustrated With Where You Are Right Now and Really Want To Get Your Business Going In The Right Direction? Does This Sound Familiar? A Customer comes in and wants a price quote and he is in a hurry. You have no idea how to give him a price when he is standing right in front of you! A customer brings in a dozen shirts that he purchased at a discount store and wants them embroidered in a hurry. You have to work up his design and he is resisting the set up charge. How do you handle this? The fact is you are not alone, I hear it all the time! You are pricing your embroidery about the same as the competition, but you are not making enough money to pay all of your bills! You keep growing and bringing in more business, but there is never enough money for you! You have too much work that is all due at the same time and you don’t know how you are going to be able to get it all done! What do you do first? How do you get all of this work scheduled? There are months when there is hardly enough embroidery work to pay the bills! What can I do to bring in more work during those times? You spend so much time waiting on customers that your production suffers! Customers want their embroidery work rushed‚ you are not even sure if you can afford to do a rush job! Customers want an embroidery thread color that you do not carry and it will cost you the entire profit from the job just to have the thread shipped in! What do you do? You need some help to get all of your work done but you are not sure how to start with a new employee? Where do you find them? Are you experiencing other problems with your embroidery business? Building An Embroidery Business Is Not Easy When You Have To Do It Without Any Help! It is exciting and overwhelming at the same time! There is so much to do, so much to learn and so many areas to prepare for before you can even open the doors for business! The right embroidery business training will shorten your learning curve and you will be up and running quickly! To have a pricing structure that will work in any type of situation. A marketing plan so that you are always bringing in orders, even in the traditionally slow months. Sales tools to make it easy and quick as you are waiting on customers. A way for your customers to easily find you. A system to help you stay in touch with your customers and prospects. To learn how to set up your small lettering so that it sews out great on any type of fabric! This is so essential if you want to keep corporate clients! The skill to create beautiful large & small monograms, even sets of monograms for high end customers! To know how to work with all of the performance fabrics that is in demand today! To know how to fix all types of mistakes! Unfortunately they do happen! Isn’t it time for you to Stop Working so hard and Stop Squeaking by? 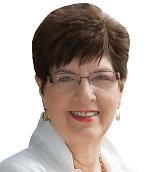 I am Joyce Jagger, “The Embroidery Coach” and I simplify the business of embroidery into easy to understand lessons. I help embroidery business owners shift their embroidery business into high gear! 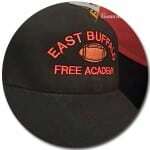 Through online embroidery business training and one on one coaching I help you avoid pitfalls! As a former owner of a profitable embroidery business I am now in the business of helping you start your own profitable embroidery business or help you take your current embroidery business to a higher profit level. I’ve spent over a decade helping other embroiderers get started and increase their profits. Embroidery can be a very lucrative business when you have the right systems, approach and tools in place! Now it is your time to start realizing the type of business you have always dreamed of. You have been waiting long enough for the help to get you to that next level. The wait is over! You have your machine, you even know how to use it. You’ve started your business‚ but you’re having some problems. Want to know a secret? I’ve had those same problems, You are not alone! In my 40 years in this industry, I have noticed a TON of obstacles that can absolutely sink an embroidery business before it ever gets started! There are days when it seems like everything can and does go wrong! You may have the equipment. You may have some experience and skill. You may even already have a viable embroidery business. Or‚ you may be a beginner or novice. No matter who you are or what your situation is, you could benefit greatly from good coaching. The advantage of having a coach is the experience that they can share with you. They can give you the proper guidance and direction as you are building your embroidery business. There is no need to go through years of trial and error! Sometimes its just learning how to avoid errors‚ and sometimes it‚’s learning new skills. It‚’s like having your own GPS system! How Do You Get The Help You Need To Take Your Embroidery Business To The Next Level? Introducing: Advanced Embroidery Business Strategies! As a Gold Plus member you get many Business Building Strategies that will help you take your embroidery business to the next level! Embroidery Business Forms – You will receive all of the basic Business Forms that you need to run your business such as: Customer Order Forms, Supplier Order Form, Embroidery Design Quote Form, Design Approval Form, Release Form, Log in Form, and even a Packing List! These forms are all given to you in an Excel format so that you can customize them to fit your business needs. Embroidery Production Forms – You will receive the basic Production Forms that will help you to keep your work flow going smoothly such as: Embroidery Machine Scheduler, Embroidery Design Worksheet, Embroidery Production Sheet, Embroidery Spoilage Report. These forms are all given to you in an Excel format so that you can customize them to fit your production needs. Embroidery Business Plan – This is a full program that will teach you how to plan out each area of your business and create a full embroidery business plan, one that you can use on a daily basis as your guide to running your embroidery business. I teach you how to create your 12 months Marketing Plan, how to create your Projections and even your Cash Flow report! How to Price Embroidery – This is a full program teaching you how to create a pricing structure that will help you make the profit that you have been looking for. This program includes many formatted spreadsheets to work with and create a pricing structure that will fit any type of pricing situation within your apparel decorating business! Embroidery Design Quoting Tools – You will finally have the tools to use to quote your embroidery designs! I teach you how to quote designs quickly while the customer waits! No more having to get back to them with a quote and taking the chance that they will move on to someone that can quote a design quicker! Embroidery Business Marketing System – This is a full program teaching you how to market your business off line and on line. I teach you how to organize all of your products and how to set up your website as well as your entire marketing system so that you will be able to reach and follow up with your market. Not only do I give you all of the Advanced Business Building Strategies, but I also include all of my Embroidery Basics and How to’s to help you in your daily production. This is going to save you so much time as I show you many shortcuts along the way! What this means to you is less trial and error! I once had a teacher tell me that ‘Smart people lean by their mistakes, but Smarter people learn from other people‚’s mistakes!’ That is what I want for you! There is no reason for you to go through what I did, you can learn and profit from my mistakes! See what Howard & Amanda have to say! Hooping – You are taught basic hooping and how to properly hoop knit garments, woven garments and even many un-hoopable applications! Basic hooping techniques must be learned before you start using the hooping devices. Backing & Toppings – You are given very specific guidelines for selecting the right backing / stabilizersto use for each of the different fabrics. There are 3 categories for backings / stabilizers. It is important to understand all 3 and know how to use each one for the different type of applications and fabrics! Favorite Backing Recipes – I even share with you my favorite backing / stabilizer recipes for most fabrics along with the Style Numbers of each one and the source for my backings to make it easy! Picture Hooping Guidelines – Easy to follow guidelines with pictures showing you many garments along with what backing & needles to use for different types of garments avoiding mistakes! Placement – A Placement Chart for the Left Chest or Right Chest embroidery design applications and Guidelines are given for placement for all of the most popular applications on garments as well as linens! Finishing – How to finish a garment to create that quality presentation whether it is a sample or a completed order for a customer! Finishing a garment properly is huge in how your customer will receive your quality! Facebook Group – Open only to the Gold Plus members of the Embroidery Training Resource Center! This is a private group where you can ask any question about your decorating apparel business. You will have the opportunity to interact with many other serious minded embroidery business owners! These videos will give you the skills to tackle embroidery jobs that will previously had to turn down. The skills learned from these videos will greatly increase your monthly revenue! Embroidery Applique -There are several videos that show you step by step how to create one color appliques, 2 color appliques and more. I created an applique on a jacket back using several colors with a lot of embroidery added. I also how you a simple way to create the applique made from felt fabrics that are so popular with the school crowd and young adults! I even show you how to create the zig zag athletic twill look that can be done on uniforms. I show you how to set up an applique in the software. Puff or 3D Foam Embroidery on Caps – Puff embroidery on caps is easy when you have the right instructions. I show you a simple method for applying the puff or foam embroidery on caps. 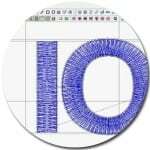 If you want to create a single block letter on a cap, I give you Step by Step instructions showing you how to create the file for your puff embroidery design using your basic stock block embroidery font lettering that you have in your software. For most designs, it is best to have the file digitized by a professional and then you will follow this simple method for applying the foam. How To Embroider Small Letters – Small lettering can be an issue for many people especially when they are first starting out with their embroidery business. I show you how to create small lettering that will sew out great on any type of fabric. I even give your the right settings to use for your lettering designs. I use the Pulse software but these same settings will work in any embroidery design software. The names of your tools may not be the same as mine, but your underlay, pullcomp and density settings will be present in your embroidery software. How To Embroider Caps – Many people struggle with caps! This should not be. Caps can be your biggest money maker! I show you step by step how to easily hoop and embroider a design on a cap! There are many different types of caps and you must master each one in order to be able to offer your customers a good selection. This does not mean every cap on the market, I am just talking about the different types of caps. 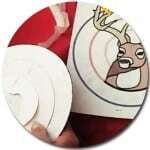 You want to be able to embroider the cap on the front and sides in one hooping and I show you how to accomplish this. I have a very simple method for this. How To Make Patches – Patches are very easy to make as long as you only have a small quantity. This is a simple way to create company patches if you have a customer that only has a few employees and furnishes their uniforms. I show you how to embroider a name on a patch blank.This series of videos will show you in a step by step method how to prepare your fabric for your patches, how to set them up, how to hoop your fabric, how to finish your patches and I even show you howto sew on a finished patch using your embroidery machine. This is great if you have a customer that only requires small quantity of patches. 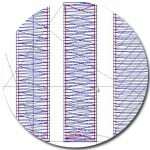 How To Use Embroidery Underlay Stitching – It is very important to understand what type of underlay stitching to use when you are creating your embroidery designs whether you are digitizing a design or setting up a design using basic lettering. Underlay is your foundation for your embroidery and it is very important to use the right type of underlay stitching in order to product high quality embroidery. I teach you how to use the different types of underlay stitching in your embroidery designs and lettering. Understanding Push & Pull Compensation in Embroidery – Every stitch type and segment of our design needs push or pull compensation added for high quality. Understanding Push & Pull Compensation is extremely important. I teach you exactly what your setting are that you should apply for your Pull Compensation and show you the difference in your push and pull compensation and I also teach you what settings to use for the different types of fabrics. Do you ever wonder how you can repair a mistake with your embroidery? I give you simple step by step instructions on how to repair those horrible mistakes that we all try so hard to avoid! Unfortunately, everyone makes a mistakes now and then, but you need to know how to save those expensive garments when mistakes to occur! Repair almost any mistake instead of starting from scratch! Sometimes you have garments that cannot be replaced! It is very important to have the skills to be able to fix these mistakes just in case you have items that customers have brought in to you and you do not have any way of replacing these items! Removing Embroidery – In this video I show you how to easily remove embroidery stitches so that it does not leave holes in the garment. This is done with one of my favorite tools! It is a tool that every embroiderer needs to have in their repair department. 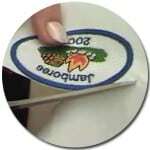 Replacing Embroidery – After the embroidery is removed, the area must be prepared to receive the new embroidery. I show you how to line up your new design to entirely cover where the original design was located. If done correctly, you will not see any trace of the old design that was previously embroidered. Garment fell out of the embroidery hoop – This is a biggy! I cannot tell you how important it is for you to know how to take care of this issue. Unfortunately this can happen to the best embroiderer and you must know how to rehoop the garment and line up the remainder of the design so that you will continue on in the perfect spot to finish the embroidery design! Bobbin Thread showing on top – Some bobbins change tension as they are embroidering close to the end of the bobbin and some of the white bobbin thread will show on top. I show you how to cover up those ugly white stitches that you obviously do not want to see! These videos alone are worth hundreds of dollars.The amount of money saved on one garment alone will easily pay for at least one monthly membership! With this information you will be able to greatly reduce the amount of time that it takes to produce each order, decrease production mistakes and give your customers higher quality embroidery. What this means to your embroidery business? Service more clients or customers! Increase your revenue at the end of the month! Be able to write yourself a paycheck! of their designs and making more money! New information is added on a regular basis to help you grow your embroidery business! This Is The Only Embroidery Business Training Site That You Will Ever Need! If you have had your embroidery business for some time and you cannot write yourself a paycheck! This is for YOU! If you own your own Embroidery Business and want to improve your skills to increase your profits with your embroidery business this is for YOU! If you are struggling trying to get your prices right so you can make some money in your, this is for YOU! If you know you need help and you do not know where to reach out to get someone to help YOU! If you know you need to hire someone to help you but do not know how to train them! This is for YOU! If you are not happy where you are, this is for YOU! If you want to improve your business in any way, then this is for YOU! If you are willing to do whatever it takes to take your business to the next level, this is perfect for YOU! Inside of the Embroidery Training Resource Center Members Area at the Gold Plus Level you will find over 400 videos and articles that will teach you all of the basics of embroidery, how to work with many different types of applications as well as many full programs teaching you design basics. Embroider Small Lettering so that it sews out great on all types of fabrics! Create the right Embroidery Pull Compensation for the different types of fabrics! Create Embroidery Design Templates to save you a ton of time as you are setting up your basic designs! Create custom designs using shapes and lettering from your design software. Create Beautiful Large & Small Monograms – Sets of Monograms that other embroiderers will envy! Edit and tweak your designs so that they will sew out better with higher quality! Organize your business using some great Business Forms to keep your business running smoothly! Keep track of your work and keep it on a great schedule using our formatted Production Forms! Plan out all areas of your embroidery business and help you create a great business plan to keep yourself on track! 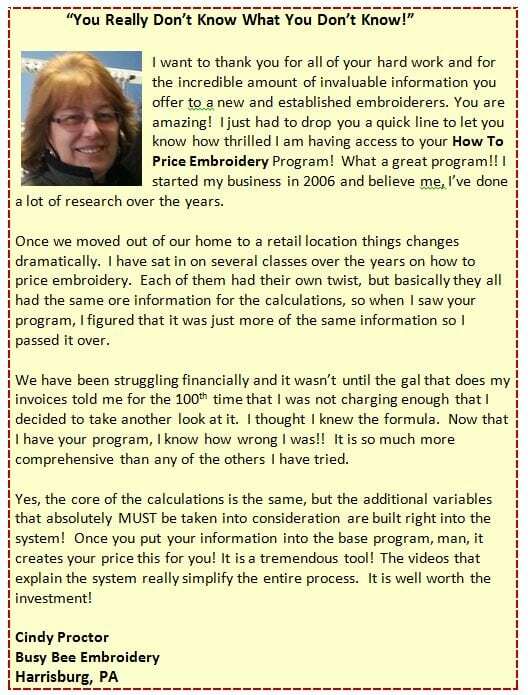 How To Price Embroidery – A Program to teach you how to create a pricing structure that will make you a good profit! Market Your Embroidery both Off line and On line to help get your name out there and be visible among your community! For the Gold Embroidery Training Membership Level you have the option of an Annual Membership fee vs. a Monthly fee. This is a savings of $100.00! The content is exactly the same! 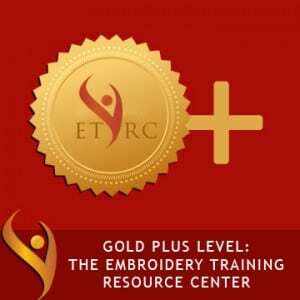 The monthly investment for the Gold Plus Level of membership into The Embroidery Training Resource Center is only $99.95. You will have access to all of this information as long as you keep your membership active. Each month we have a members only Q & A call. You can call me and ask me any question that you have about your embroidery or embroidery business during that Q & A call. If I do not have any immediate answer, I will get back to you with an answer. You have all of this information at your fingertips 24 hours a day 7 days a week. If you are looking for more of the basic embroidery and design skills and are not quite ready for the Business Strategies like Planning, Pricing or Marketing, check out our Gold Level! Click here to find out more about the Gold Level!